After they had eaten, everyone was sitting on the back porch, watching the sun set. Claire was rocking Alex, who had fallen asleep and Annie was sound asleep in Warren&apos;s lap. Lulu was on her third bottle of Octoberfest ale, sprawled out on the stairs. Bucky and Willow sat facing the forest and hills that were behind it. "Willow, let&apos;s head down to the barn. There&apos;s something I want you to see." Bucky grabbed the handles of Willow&apos;s wheelchair, and rolled her down the ramp and onto the path he&apos;d built that summer. The cool evening breeze blowing Willow&apos;s hair up and over her shoulders. Pulling open the barn door, Bucky stood aside so Willow could steer her wheelchair in. "Bucky, why are we in the barn? If I didn&apos;t know you, I&apos;d think you brought me out here to kill me." "No. I&apos;ve got a surprise. In fact it&apos;s both your birthday gift and your Christmas Present rolled into one." "Bucky you didn&apos;t have to get me anything," Willow smiled. "And If you did you should have stuck it somewhere other than the barn." "That wouldn&apos;t have worked," Bucky opened one of the stalls and led out a glossy black and white appaloosa mare. 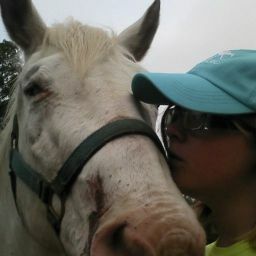 He knew Willow loved horses and that she&apos;d used to ride them all the time before she&apos;d been paralyzed. Bucky had been talking with Warren&apos;s wife Claire, who was a doctor. Claire had told him that she had several patients with spinal cord injuries who enjoyed horseback riding. She said that the canter of a horse was almost similar to the movements a patient would feel if they were walking. So Bucky, Warren and Lulu had all pitched in to adopt Willow a horse. 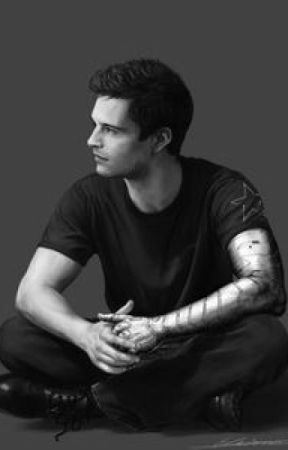 "Oh My God Bucky," Willow gasped. She reached out and let her hand rest on the horses forehead. "She&apos;s beautiful." The horse rubbed it&apos;s head against Willow&apos;s hand, as though searching for a treat. Willow laughed, throwing her head back with her eyes shining. "I love her Buck. She&apos;s perfect."